MakeUpNotDown: Scoop Post: MAC & Mickey! Some of you might ask who is Mickey Contractor and why is he relevant? Not only is he a director but he is Bollywood's best makeup artist. 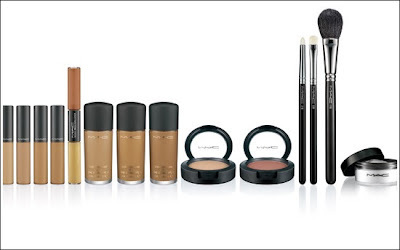 MAC and Mickey have teamed up to launch a collection for Indian, Middle Eastern, and Hispanic skin tones. ﻿Designed by Mickey himself the collection will include lipstick, lipglass, eye shadow, fluidline, select moisturecover concealer, studio fix fluid SPF 15 foundation (my fav), powder blush, brushes, and prep + prime transparent finishing powder. 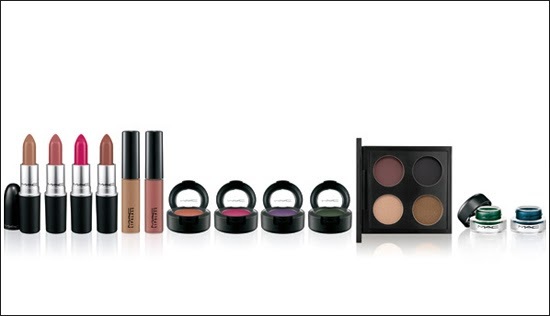 The 28 piece collection launches January 6th...exciting! Those who have lighter skin often have a hard time finding makeup that looks good with their complexion, due to their natural yellowish undertones. If you have an olive, beige, or naturally tan skin tone than this is for you! I'll definitely check this collection out. I want a few of the shadows and glosses.